Stunning Yosemite National Park sets the stage for this late 1920s historical romance with mystery, adventure, heart, and a sense of the place John Muir described as "pervaded with divine light. "Watercolorist Olivia Rutherford fashioned her image as an avant-garde artist to appeal to the region's wealthy art-collectors. 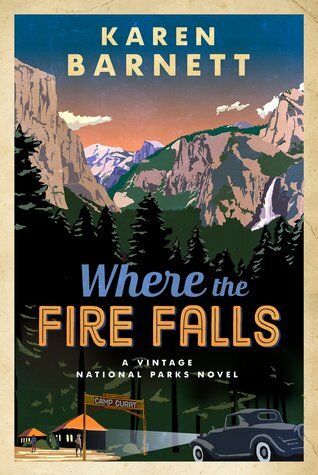 When she lands a lucrative contract painting illustraStunning Yosemite National Park sets the stage for this late 1920s historical romance with mystery, adventure, heart, and a sense of the place John Muir described as "pervaded with divine light. "Watercolorist Olivia Rutherford fashioned her image as an avant-garde artist to appeal to the region's wealthy art-collectors. When she lands a lucrative contract painting illustrations of Yosemite National Park for a travel magazine including its nightly one-of-a-kind Firefall event, she hopes the money will lift Olivia and her sisters out of poverty. After false accusations cost him everything, former minister Clark Johnson has found purpose as a backcountry guide in this natural cathedral of granite and trees. Now he's faced with the choice of becoming a National Parks Ranger, but is it his true calling? As Clark helps open Olivia's eyes to the wonders of Yosemite, she discovers the people are as vital to the park's story as its vistas-- a revelation that may bring her charade to an end.